Hi, We at UCM Cleaning Services are dedicated to provide your family with the best cleaning service possible. We have many devices which help us clean your home but after years of research we found out that our biggest asset is our own highly trained technicians. Our Carpet Cleaners are profound in all carpet cleaning methods be it: Steam Cleaning, Dry Cleaning, Delicate fibers cleaning and more. All of our personnel can answer any of your questions regrading special stains or odors you might suffer from. We treat your carpets with organic compounds which will not harm your pets and small infants. 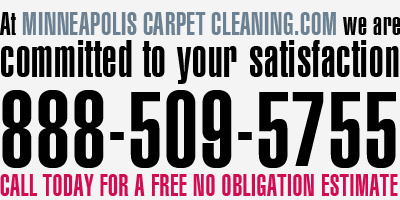 For any questions about our carpet cleaning prices and shampoo solutions please call 888-509-5755. The best method for cleaning carpets. In this process we use a truck mounted extractor with a deep cleaning shampoo which will eliminate any stains and odor from your carpet and restore it to Top-Notch condition. Dry Cleaning involves an encapsulating powder which works much faster then Steam Cleaning and can also handle very small or hard to reach area's. The substance is sprayed on the carpet and left to soak for about 15-20 minutes and then vacuumed by a powerful vacuum then we clean the toughest stains and your carpet smells fresh and looks new. We provide free Estimates on any of our services. Our quotes are Non-Obligatory and we would not charge you onsite like some companies do. We offer valuable coupons with BIG discounts. Please visit our Coupons page to choose the right carpet cleaning coupon for you. For a fast free estimate on any service please use this FORM. UCM Cleaning Services is a professional carpet cleaner with truck mounted gear adequate to treat large office spaces and commercial buildings. We provide cleaning services to many companies here in Minneapolis, MN. To get a free estimate on your office or building pick up the phone and call us today. We strive at being the best carpet cleaners in Minneapolis and in our journey we learned countless times that the customer is always right. Keeping our client base happy has been one of our goals from the start so we decided to offer a full money back refund if you are not well satisfied with our service. Still Comparing prices? Don't believe the low prices other services offer. UCM Cleaning Services can and will make your home cleaner and will not empty your wallet.